The Fattoria is an ancient farm belonged in the past to the noble fiorentine family of Bartolini Vivai Salimbeni. The Fattoria is an ancient farm belonged in the past to the noble fiorentine family of Bartolini Vivai Salimbeni. 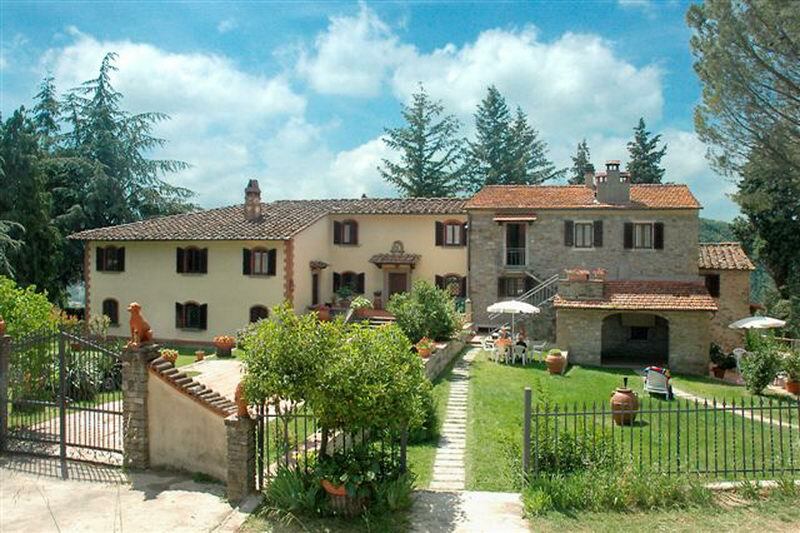 On 1962 the farm became property of the family Spagnoli. The new owner started a process of restoration of the building and agrarian patrimony with particular care to the wine area. The domain has an extension of 400 hectares. 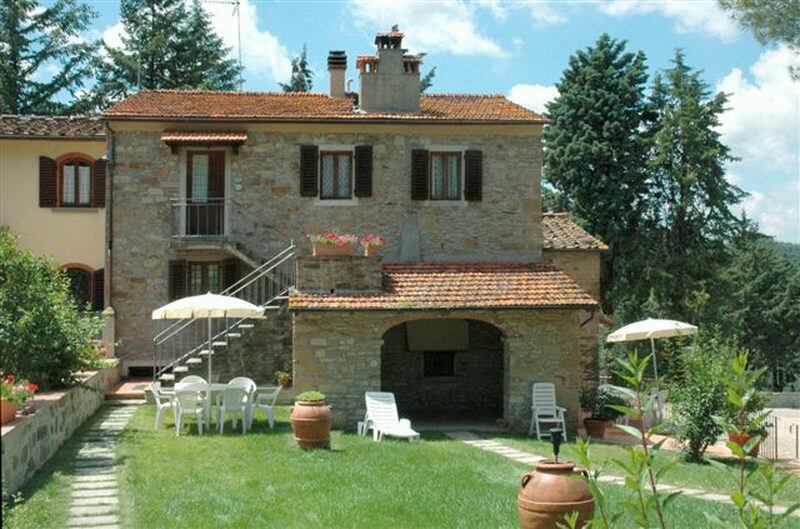 Inside the property there are 2 villages of old stoned houses named: “Borgo La Villa”, and “Borgo IL Lago”. 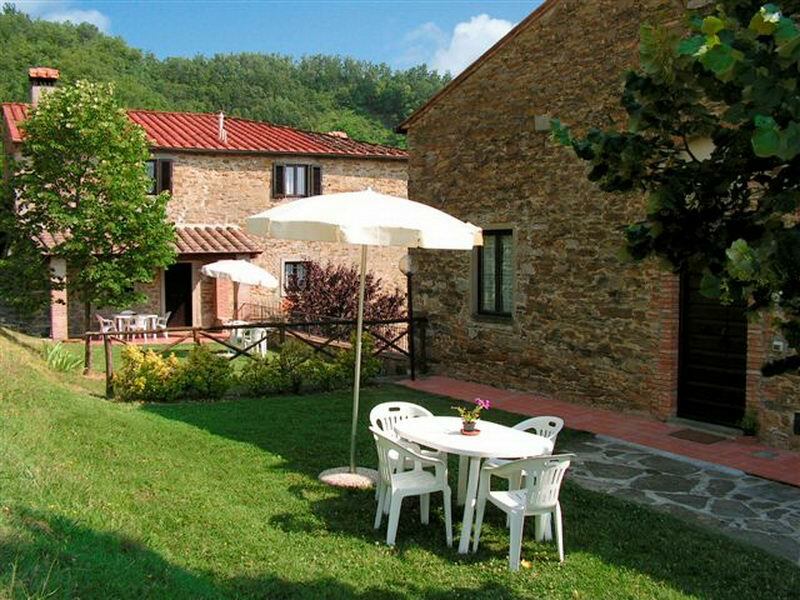 The village “Borgo La villa” has a great location overlooking the splendid green valley of Dicomano and forms the center of farmhouse accomodation and Tuscan estate. 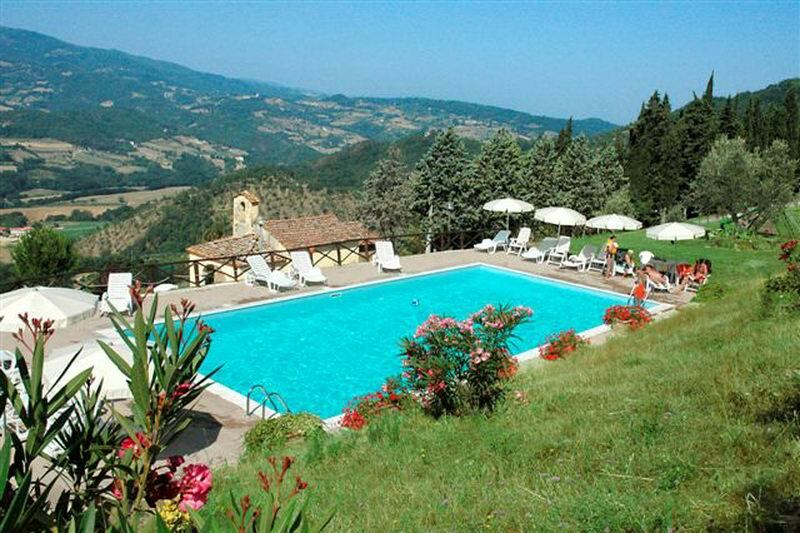 Five hundred meters away is the village called “Borgo Il Lago” with its beautiful garden and around the main villa. All apartments are perfectly restored, each one with private entrance and garden. “La Vivai” - 320 sq , 12 people – On two floors. Ground floor: 3 kiving room, dining room with fireplace, kitchen with fireplace and oven, bathroom. First floor: 6 double bedrooms, 2 bathrooms, kitchen. “Giotto” - 70 sq, 4+2 people – Ground floor. 2 double bedroom, living room with double sofa bedand firplace, kitchen, bathroom. “Cimabue” - 70 sq, 4+2 people – Ground floor. 2 double bedroom, living room with double sofa bed and fireplace, kitchen, bathroom. “Beato Angelico” - 130 sq, 6+2 people - On two floors. Ground floor: large living room with double sofa bed and fireplace, kitchen. First floor: 3 double bedrooms, 2 bathrooms. “Della Robbia” - 120 sq, 6 people – On two floors. Ground floor: double bedroom, kitchen with fireplace, bathroom. First floor: 2 double bedroom, bathroom. “A. Del Castagno” - 100 sq, 4+2 people - On two floors. Ground floor: living room with double sofa bed , kitchen. First floor: 2 double bedroom, bathroom. “Brunelleschi” - 65 sq, 4 people – On two floors. Ground floor: kitchen, living room. First floor: 2 double bedroom, bathroom. “Masaccio” - 50 sq, 4 people - Ground floor. Living/dining room,, 2 double bedroom, bathroom. “Botticelli” - 70 sq, 4+2 people - Ground floor. 2 double bedroom, living room with double sofa bed, kitchen with fireplace, bathroom. “Vasari” . 70 sq, 4+2 people – 2 double bedrooms, living room with double sofa bed, kitchen, bathroom. “Fiorentino” - 70 sq, 4+2 people – 2 double bedrooms, living room with double sofa bed, kitchen, bathroom. 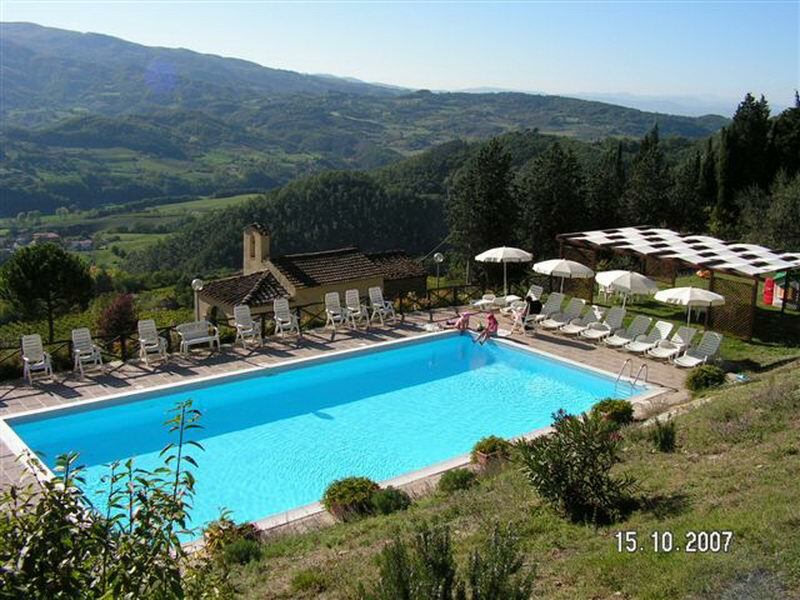 Services: park, swimming pool, barbecue, 2 fishing lakes with renting equipments, jeep tours in the farm, mountain bike, trekking, ping-pong, testing and selling farm products, , guided visits of the wine cave, parking, golf (15 km far), tennis (2 km far), horse-riding (2 km far). Arriving from Florence (highway 1) is recommended to exit in Barberino di Mugello. Follow the indications to Borgo San Lorenzo (10 km), then for Dicomano (15 km). In Dicomano at the first big tree-lined avenue on the left you can find the indication for the farm.